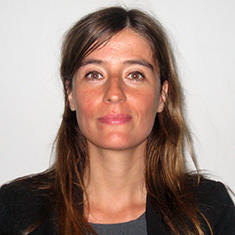 Hélène Kirémidjian has 10 years of professional experience in analysis, design, and implementation of economic growth projects focusing on value chain development and business enabling environment reform. She is experienced in the application of various industry analysis tools and participatory approaches, has conducted assessments of value chain constraints to private sector growth, and has led the implementation of research and technical assistance activities in the field. Currently a Voucher Program Manager for the AVANSE program in Northern Haiti, Hélène has worked in the field and in the home office. Previously, in Morocco, for Improving Business Climate in Morocco Program (IBCM) implemented by DAI, she led the design and implementation of project activities in the solar technologies value chain that included working with stakeholders to analyze regulatory environment constraints, developing recommendations for regulatory, financial and structural reform, and facilitating the creation of the first Moroccan network of renewable energy service providers.